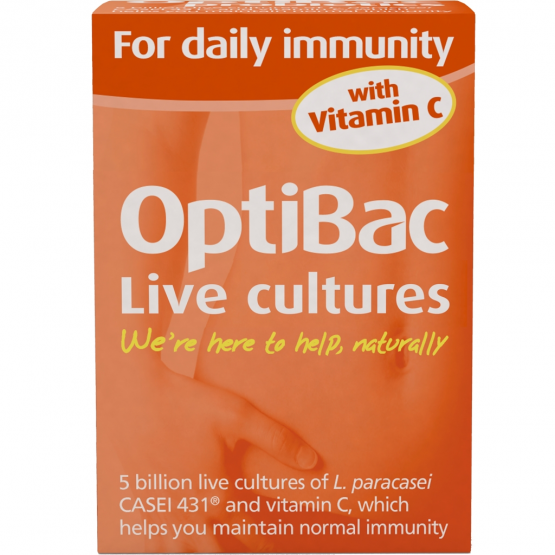 OptiBac Probiotics For daily immunity (30 capsules) is now a new and improved formula; a unique combination of Lactobacillus paracasei CASEI 431® and vitamin C.
This product is suitable for those looking for a natural immune support in preparation for the winter season, particularly those who often suffer with colds & flu. We are excited to introduce this strain to the OptiBac range as L. paracasei CASEI 431® has been studied in numerous clinical trials on thousands of people. This strain is typically studied on its own as a single strain, so we decided to keep it that way. Moreover, this product is safe during pregnancy, suitable for vegans and guarantees 5 billion live cultures per capsule, at expiry. Vitamin C (80mg, 100% ECNRV*); stabiliser:maltodextrin (natural source); vegetarian capsule:hydroxypropyl methylcellulose, titanium dioxide; live cultures:Lactobacillus paracasei CASEI 431®; anti-caking agent:vegetable magnesium stearate. Each capsule guarantees 5 billion micro-organisms. *EC Nutrient Reference Value. 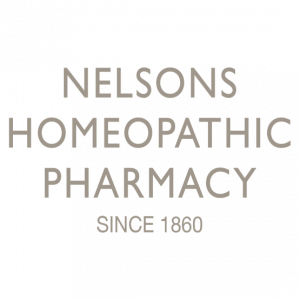 Take one capsule a day, or as professionally directed. For best results take daily and with food, preferably with breakfast. OptiBac Probiotics may be used on an ongoing basis. Not suitable for infants under 12 months. Do not exceed recommended daily dosage. Food supplements should not be used as a substitute for a healthy diet and lifestyle. Those with serious medical conditions should consult a doctor before use.